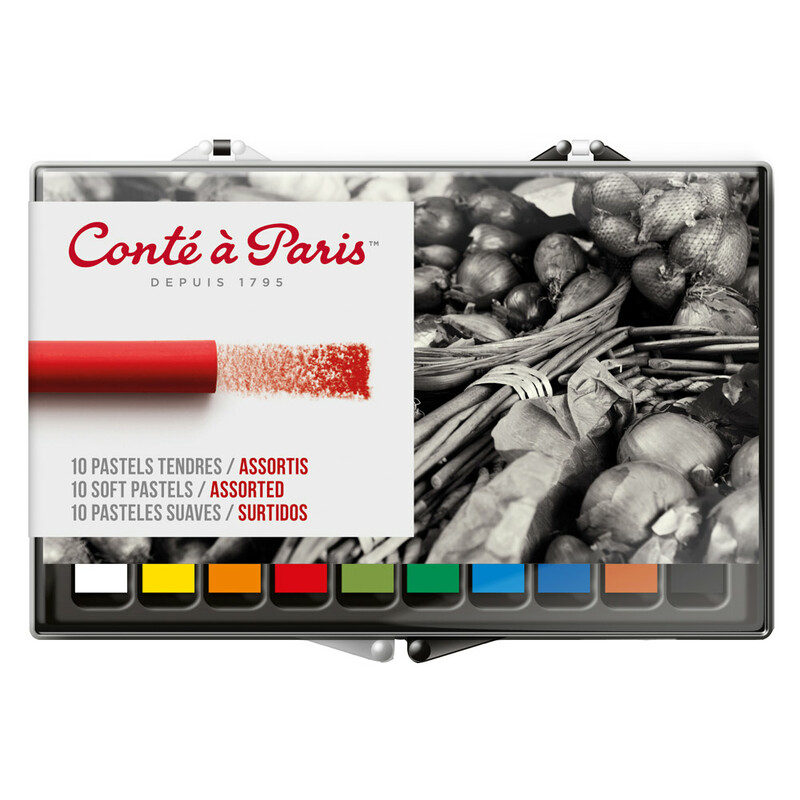 Discover the new improved formulation of Conté à Paris soft pastels, softer and easier to apply. Artist's grade pigments give brighter, stronger, cleaner colours and the creamy texture allows exceptional flow of application to enable better expression, spontaneity and versatility. 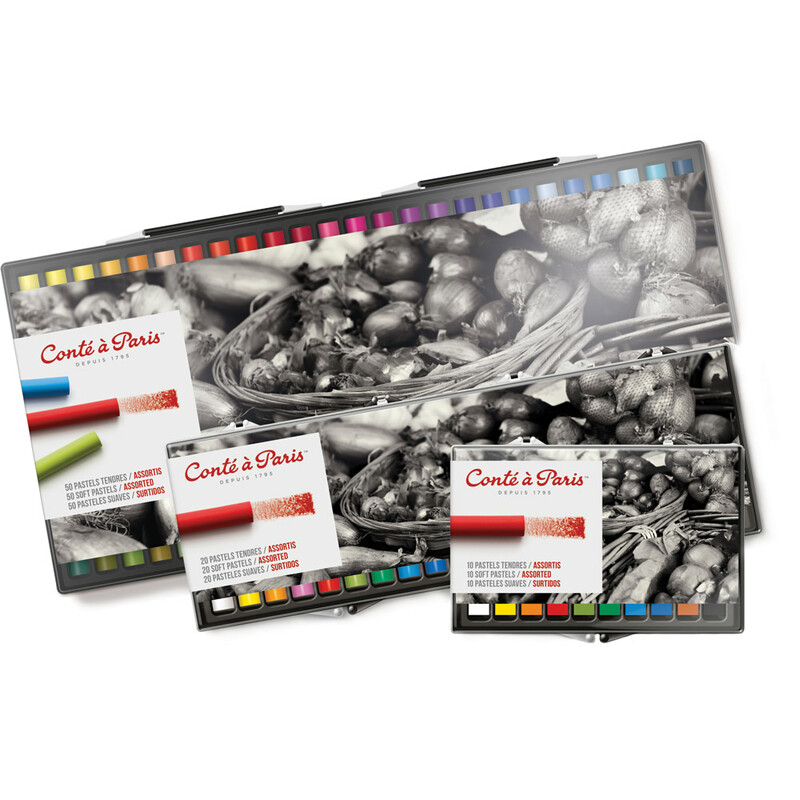 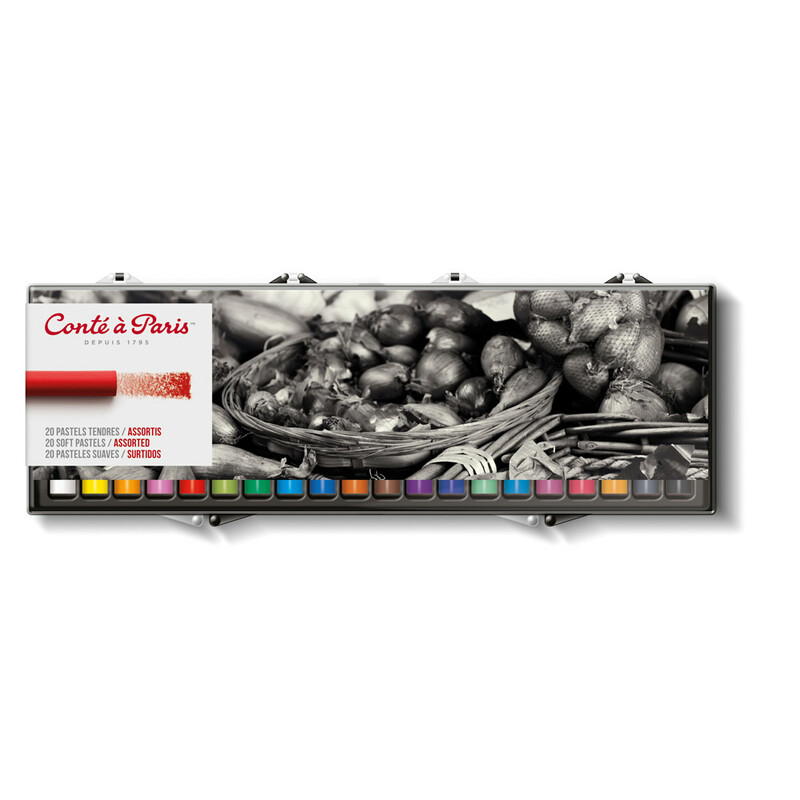 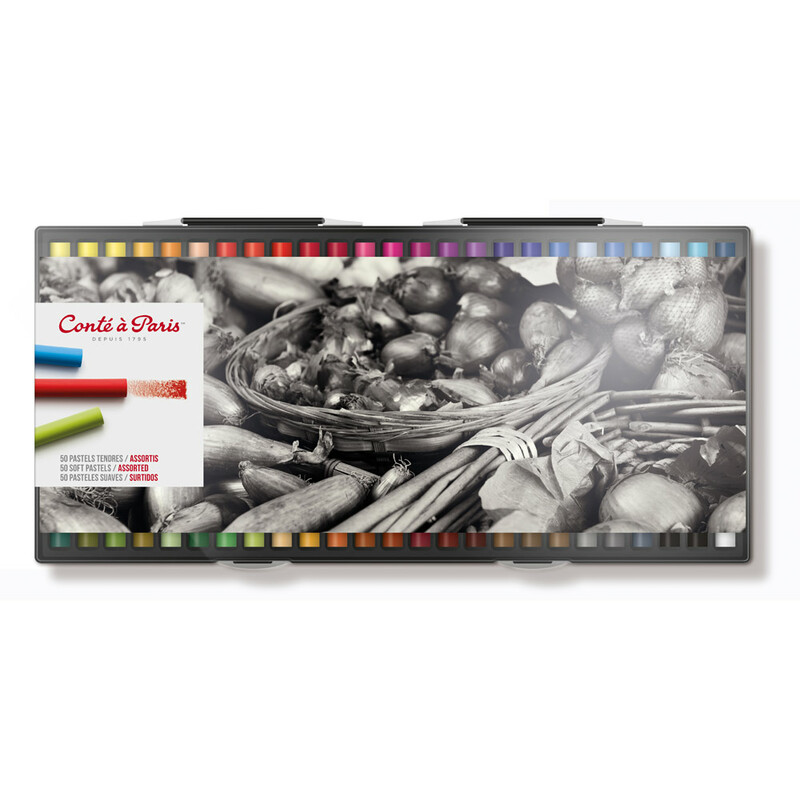 The range consists of 50 colours matching the crayons colour spectrum, available in assorted sets of 10, 20 and 50 pastels.